What is Care Credit? You can think of it like a “Bill Me Later” service for your healthcare needs. The front office will process your transaction at time of check out & provide a printed payment plan. 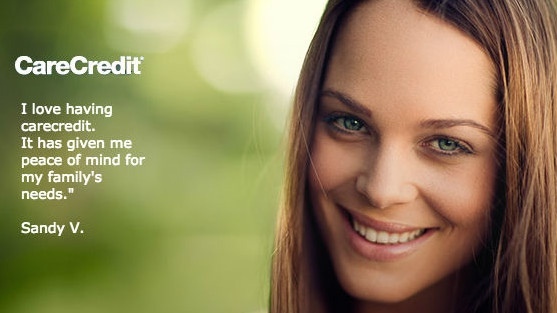 UPDATE: Carecredit is now accepted at Rite Aid, a trusted pharmacy with over 4,600 locations! Carecredit can be used like any other credit card to purchase all of your products needs, including pharmacy, vitamins & supplements, personal care and more. The application is quick & easy. All you need is a name, address, date of birth, social security number, and drivers license. You will receive an immediate response.